It's not what one makes, it's what one keeps that makes the difference. Our team approach offers a range of services to provide benefits to our clients. We can help you create an approach that is designed to address your situation. ConfidentVision works in partnership with high net-worth individuals, pre-retirees and businesses to evaluate our very successful concepts and devise strategies that become a blueprint for the implementation of life solutions. We utilize a one-to-one approach, state-of-the-art resources, and the expertise of networking professionals to provide leading-edge planning to an ever-expanding client base across the country. 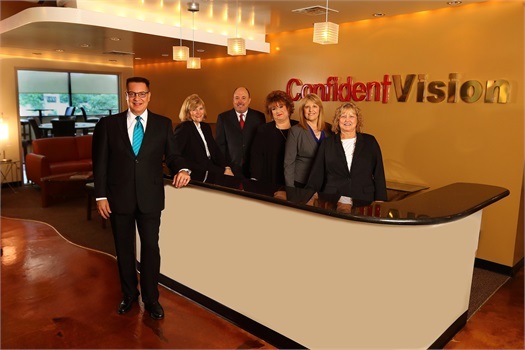 The ConfidentVision team has been helping individuals pursue their enhancement of wealth and achieve their retirement goals for over two decades. The leadership role we take, and our process of coordinating the efforts of other advisors, ensures the services that should be provided, are provided… on time and as promised.